Spookiness is officially on sale in Salem. In an effort to manage the Witch City's biggest moneymaker - the Halloween season - the city is offering a $13 discount card to the hordes who descend on Salem every October for Haunted Happenings, a local celebration of everything witchy, ghostly, and ghoulish. "It's almost like a diner's card where you buy it and you get a discount," Mayor Kim Driscoll said of the card, which is called the Haunted Passport. She said proceeds from the card will help the city coordinate and pay for public safety efforts, such as sending out extra police patrols, positioning portable bathroom facilities near attractions, and getting street-closure notices to residents. Until now, Driscoll said, the city paid for those things and hoped revenues from parking and vendor fees would cover the costs brought on by hosting more than 100,000 visitors during October. In previous years, she added, Salem pretty much just broke even. Now, Driscoll said, the card will fund those expenses while helping the city attain "coordination, management [and] better logistical control over what everyone's doing" during October. So far, several hundred Passports have been purchased, according to Gordon Plutsky, the director of marketing for King Fish Media, the Salem-based firm that designed the card program. Discounts are being offered at more than 75 locations in Salem starting Oct. 1 and running through April 30. The program - which is being sponsored, in part, by The Boston Globe - could save a user as much as $350. The city and King Fish will split the profit from the cards - up to $195,000 if all 15,000 of the printed cards are sold, Driscoll said. King Fish - whose clients include Shaw's supermarkets, Verizon, and Sun Trust - has been marketing the Passport through hauntedpassport.com, as well as Google, MySpace, and YouTube. 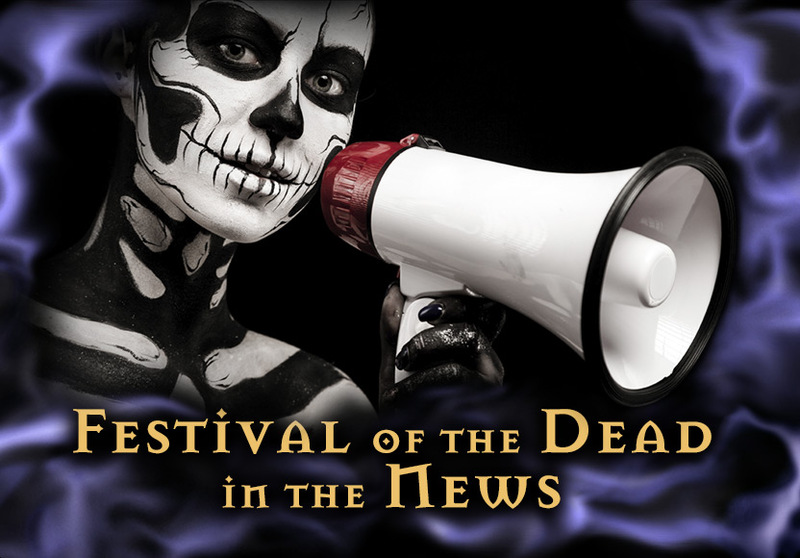 Christian Day, a local witch who puts on several events collectively called the Festival of the Dead, said he already has seen customers making use of their cards when ordering tickets through his website. Day said he decided to support the program because it promotes the city while helping him to advertise his festival to a wider audience. "In the end," he said, "I make more money than I put out, and in any business, I think that's ultimately the goal." Tina Jordan of the Salem Witch Museum said her venue is hoping to attract customers in the off-season - November through April. "That was a key component," Plutsky said of the fact that the card's discounts aren't just Halloween-specific and are valid through April. "How do we make people lifetime customers of Salem? How do we keep them coming back during slow times?" The reasoning behind the $13 price was a no-brainer, Plutsky said. "One was a playoff of unlucky 13 and Halloween. And the other was that we wanted to give people a great value . . . and that was a nice modest amount." Jay Finney, deputy director for marketing communications and new media for the Peabody Essex Museum, said he saw the Passport as a way of furthering Salem's safe, family-friendly reputation. "It is in our interest, whether we [the Peabody] is seen as a Halloween destination or not . . . to help the city keep the event as well-organized and safe as possible," Finney said. Driscoll was in agreement, especially with Halloween sure to draw larger crowds in the next few years when Halloween falls on a weekend. "This year, Halloween is on a Wednesday," Driscoll said. "This is almost like a dry run for the next three years when it falls on a Friday, Saturday, Sunday."